We’re staying on the cutting-edge of technology to create a faster, simpler, and more reliable connection between you and the things that matter most. Create your own CT Comm business plan that best fits your company’s needs. Our reliable and affordable services can increase productivity, encourage communication, and grant your business a competitive edge. Wherever you happen to live, work and play—get a reliable global connection, locally. Whether you need Internet, phone, TV, or a combination—CT Comm offers all the services you need at a great price. CT Comm is now proud to offer UPS services! Ship your packages from our downtown office. Free of charge UPS drop-off packages. Looking for a customized home or business solution? From PC repair to business network setup and configuration, all of CT Comm’s services are installed, maintained, and supported through our local professionals. It's all about connecting. FASTER. BETTER. MORE!  The all new CONNECT100 High Speed Internet Plan. CT Comm has the right sized business solution to keep your business moving and making money. We have certified experts that focus on your computer care and networking needs. Guaranteed reliable network solutions to keep all your connections up and running. CT Comm has excellent customer service and good, quality rates. We’ve been XpressNet customers for 4 years and are satisfied with our services! There’s nothing artificial about our intelligence. We’ve been connecting our customers for 120 years. Local. Responsive. Reliable. Since 1898. Our town. Take a look at what’s going on in Champaign County!